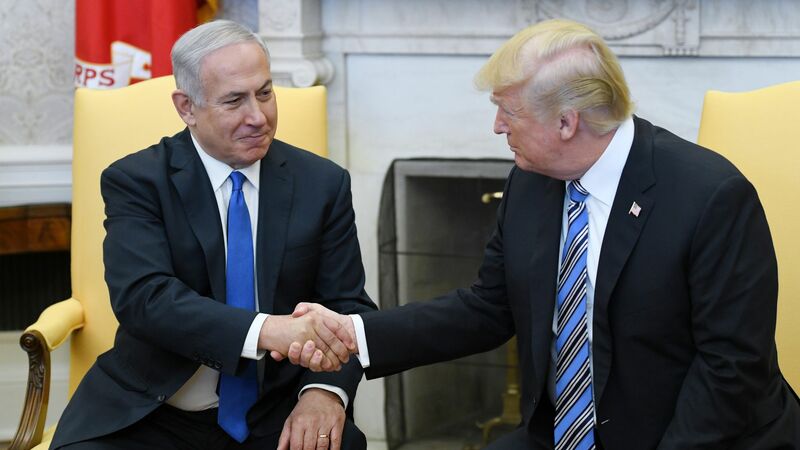 President Trump will meet with Israeli Prime Minister Benjamin Netanyahu at the White House on Monday and host him for dinner the following night, the White House has announced. Why it matters: Netanyahu will arrive at the White House two weeks before Israel's April 9 elections. Netanyahu wants to use the meeting with Trump in his election campaign in order to stress their close ties and the fact that his chief opponent, Benny Gantz, lacks foreign policy experience. The White House statement said Trump and Netanyahu "will discuss their countries’ shared interests and actions in the Middle East." Netanyahu also met today in Jerusalem with Secretary of State Mike Pompeo, who will not meet any other political leaders during the visit. Pompeo and Netanyahu will visit the Western Wall together tomorrow, providing another important photo op for Netanyahu's election campaign. In a briefing to reporters on Tuesday, Pompeo pushed back on claims that his visit to Israel is intended to interfere in the Israeli elections in Netanyahu's favor. Behind the scenes: Netanyahu and Israeli Ambassador to Washington Ron Dermer urged the White House to put on a state dinner for Netanyahu. In the end, the White House settled on a working dinner with Trump, Pence and several members of the Cabinet. The big picture: This has been an extremely bitter election campaign in Israel with Netanyahu, who is facing corruption and fraud charges, desperate to hold on to power.